Live. Believe. Worry a bit. : Come to the dark side, we have cookies. It has happened, the thing I swore never would. I should be ashamed of myself, and feel like I've betrayed myself and everything I stand for, but I can't - I'm just too pleased. Just to make it clear, I do have a very good reason for it. The situation had become so bad that something had to be done, and I wasn't going to give up my "hobby". 1) Stop buying books. Not going to happen. 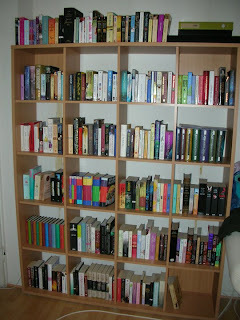 2) Get rid of some books. Never! I was waiting to see a photo of a very overflowing bookcase at the end of the post. 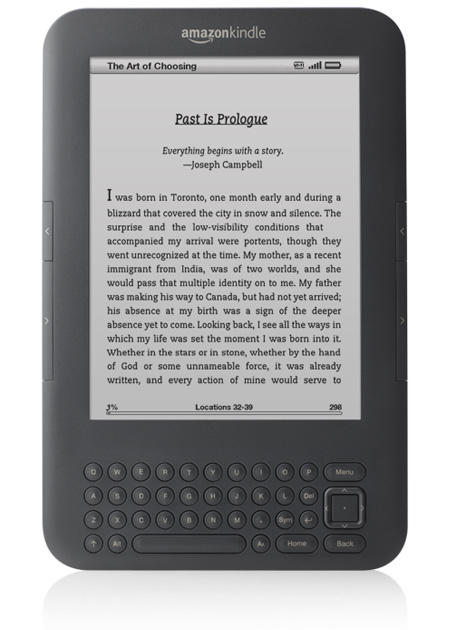 I don't think Kindle's too bad. I think Luke Skywalker would approve.